Top 3 Good Free Video Editing Software You Can Use Now! When it comes to video editing software, good programs such as Filmora or Movavi video editor often cost around $50 per license. That’s not to mention some very expensive professional video editing software like Vegas Pro, Adobe Premiere Pro or Final Cut Pro X available around $200 – $300 for lifetime or yearly subscription. 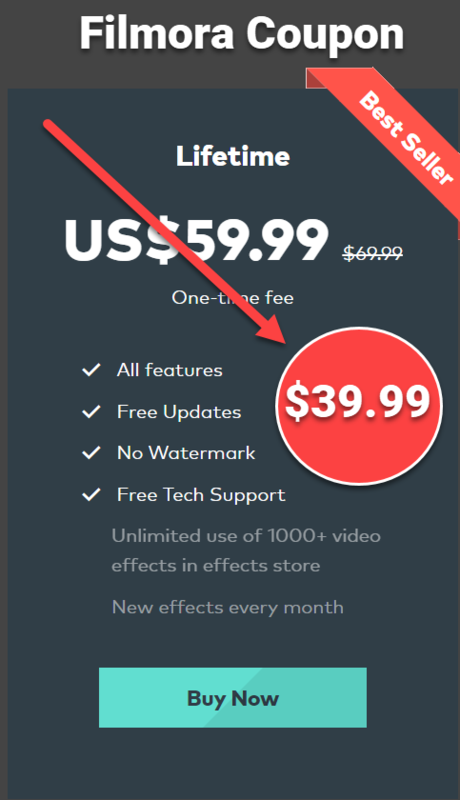 If that’s not the budget you want to invest, you can choose a free video editing software out there. These free programs can’t fairly compete with above mentioned name in terms of technical support and advanced features, though they are more than enough to perform simple tasks like cut, trim, add text, transitions and some special effects to your video quickly. Davinci Resolve is one of good video editing programs you can try now! In today’s article, we’ll share with you top 3 good video editing software you can use now. These programs are the most simple to use and powerful video editors we’ve tested in recent months. Let’s dive into the detail now! The first good free video editing software we recommend you to try is Davinci Resolve, developed by Black Magic Design. This is the most powerful video editing software among all of the tools we’ve checked. Davinci Resolve gives you an idea of how to edit video like Hollywood filmmakers do as it is very close to a professional film making software. With Davinci Resolve, you’re not limited to simple editing work like cutting or trimming, but rather than controlling the whole project. There are color grading tools, built-in plugin, audio mixer, 3D text editor you can use for free too. To learn more about Davinci Resolve, please read our careful review in this post. Watch this introduction video to learn how it works. Edit video like professional Hollywood filmmakers. Advanced video editing tools for creating stunning movies. Color grading and audio mixer are amazing features of Davinci Resolve. Great video rendering speed, support various kind of outputs. No watermark on exported video. Simple to use interface and smart workflow. Cross platforms: Windows, Mac and Linux. VSDC is a free video editing software created by Flash Integro. It’s another good video editing software you can try on Windows computer (not available on Mac and Linux). Frankly speaking, VSDC is a little bit more difficult to use than Davinci Resolve in my opinion as the program has many extra features, geared toward educational video, like adding shapes, charts, annotations and so on. However, if you are not involved in educational videos, VSDC still lets you edit videos, make slideshow, add transitions, video effects, adjust audio and so many thing more. This video editor supports 4K editing and allows you to export video without watermark too. Read this review to learn more about VSDC. Simple to use user interface. Has built-in screen capturing tools and smart annotation tools for making how-to tutorial and product demos. Tons of video and audio effects and filters. Support 4K editing and a bunch of output formats. Has advanced features such as Chroma key, Video stabilizer, noise removal tools and so on. It’s hard to use for beginners. Poor technical support from developer. Last but not least, one of the best free video editing software for making how-to tutorials, software demos or product demonstrations has to be ActivePresenter, created by Atomi Systems. This is a powerful and all-in-one program you can try now to create amazing instructional videos. With ActivePresenter, you can even create complete interactive online training courses in SCORM or xAPI Tin Can too. This tool is all you need to make YouTube Videos, marketing videos and corporate training video. To learn more about ActivePresenter, read this careful review. Has built-in screen recorder and advanced video editor. Has advanced video editing features such as Chroma key, text-to-speech, Picture in picture, Closed Caption and a bunch of annotation tools. Adjust audio, video speed, insert free frame, zoom and pan, highlights and spot lights and so on. Export video without watermark in MP4, AVI, MKV, WebM. Great technical support from developer. So you have 3 good video editing software now. I hope you like them and don’t hesitate to share your opinion with us. If you like our post, like, comment and share it. Don’t forget to follow us to receive our up-to-date news in the future. Top 3 Screencastify Alternatives You Can Try Now! Screen Recorder No Watermark: 5 Tools You Haven’t Heard About!